Whether you're a fan of the book or the play, everyone is obsessed with Wicked. 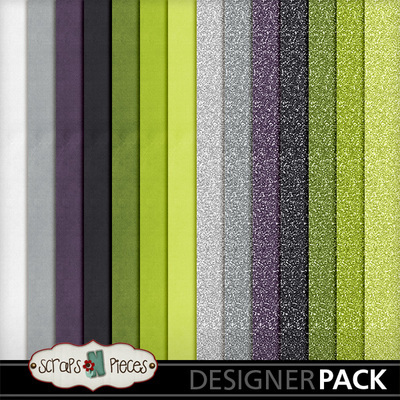 This green-hued, glittery kit pays perfect tribute to everyone's favorite (not so wicked) witch. With patterned papers right out of Shiz University and enough sparkle to wow over the Emerald City, it's the perfect backdrop for all your magical photos. 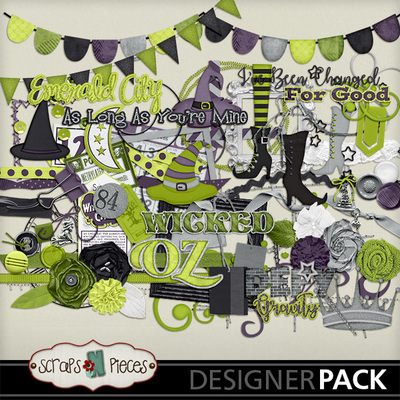 Featured elements include Elphie's hat, Galinda's crown and wand, Nessarose's shoes, and thematic word art for the most popular songs. The more traditional elements create a stunning duet, with banners and flowers and ribbons galore. Witchy ephemera and a green wire alpha round out the show. 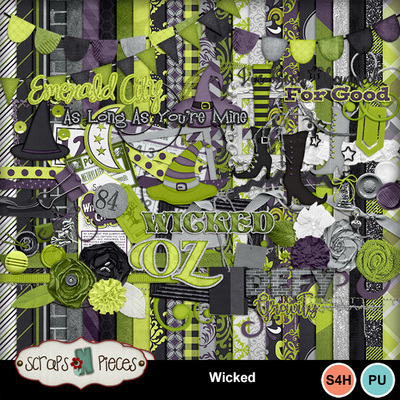 So help your scrapbook layouts defy gravity with Wicked.